Meet the woman who grows nails instead of hair. Shanyna Isom, 28, from Memphis USA, has a strange medical condition that causes her to grow human nails out of her hair follicles. Doctors have dubbed Shayna Isom a medical mystery. 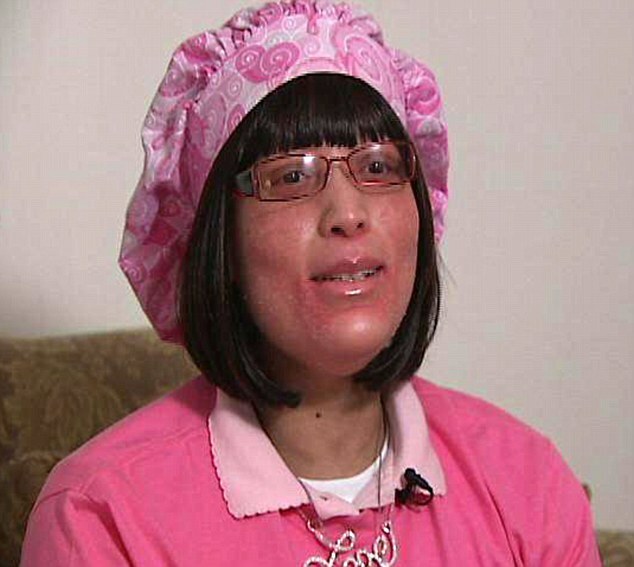 Shanya has lost all the hair on her head to the vicious mystery illness and wears a wig and hat to cover it. The condition leaves her body covered in hard scabs as ‘nails’ replace the hair on her body. Although doctors are still struggling to cure the bizarre disease It is believed the mystery illness stems from an allergic reaction. In September 2009 Shanya was prescribed steroids after suffering an asthma attack and within hours the law student was ‘itching’ all over her body.Soon black bumps covered her legs and doctors treated Shanyna for everything from eczema to Staphylococcal infection to no avail. It wasn’t until 2 years later in 2011 that doctors established that the bumps were in fact human nails! The illness has left Shanyna and her family deep in debt as state-issued insurance does not cover her care at the specialist unit she attends in Baltimore and only covers five of the 17 medications she is prescribed.The family savings accounts are dry and her outstanding medical bills are currently up to £160,000 ($250,000). Shanyna has set up the S.A.I Foundation to raise money for her treatment but fears she may not be able to continue.She relies on family and friends for financial help and they have rallied around her for support.Shanyna hopes that the foundation will be able to raise enough money to cover her medical bills and help others in the same situation.‘If it means me dealing with this to help someone else, I’m willing to go through it.’ she says.